Super Concentrate inhibitor 1. Unique patended formula. 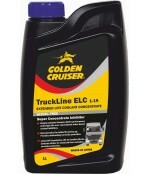 Beter performance and longer life over conventional water-based coolant inhibitors. 2. Recommended for initial fill and top up. Provides outstanding corrosion protection. 3. Latest OAT formulation with no harmful silicate. Contains nitrites for enhanced linear cavitation corrosion protection.